No information is available for 2012 at this time. No information is available for 2011 at this time. A panel of judges will choose America’s Transportation Awards’ grand prize, and online voting will determine which of the finalists wins the People’s Choice. The project is one of 10 finalists competing in the 2010 America’s Transportation Awards, sponsored by the American Association of State Highway Officials. As a finalist in America’s Transportation Award competition, the public is invited to attend a rally being hosted by representatives of the City of Laurel. The Virginia Department of Transportation (VDOT) won two awards in America’s Transportation Awards’ southeastern regional competition. The project was a joint effort of the City of Wichita and the Kansas Department of Transportation. 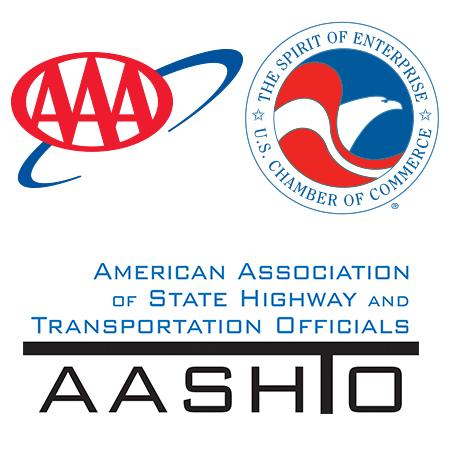 America’s Transportation Award is sponsored by AASHTO, AAA and the U.S. Chamber of Commerce. Washington DOT’s effort is one of 10 finalists competing in the 2010 America’s Transportation Awards. Ten states are in the running today to be called “best of the best” in transportation. The American Association of State Highway Transportation Officials (AASHTO), AAA, and the U.S. Chamber of Commerce announced the Top 10 finalists in the 2010 America’s Transportation Awards competition. Winning Road Projects Deliver Innovation, Preservation, Congestion Relief and More! Winning Road Projects Saving Lives, Time, and Money! On Time, On Budget, Innovative Road Projects Win Big!